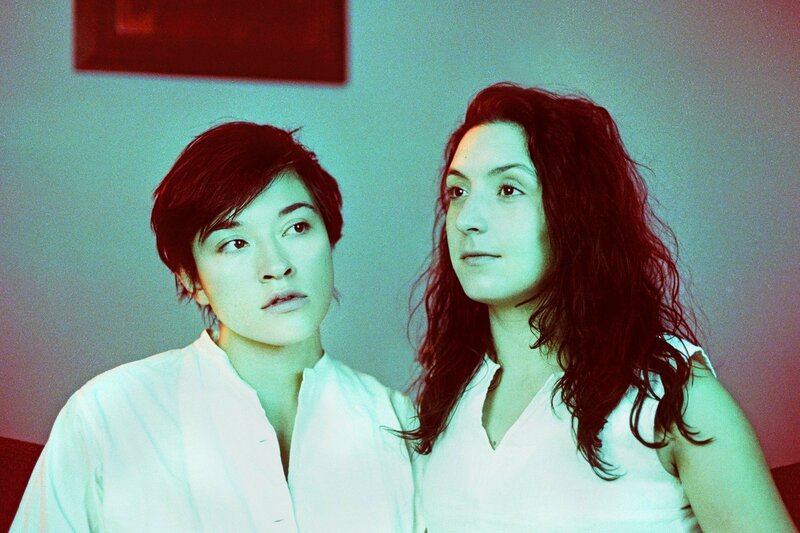 Already celebrated as the “Heart of Chicago’s Music Community” (Noisey) by both fans and tastemakers alike, Ohmme (aka the duo of Sima Cunningham and Macie Stewart) amalgamate the aggressive and the meditative on their bold debut full-length album, Partsdue 24th August on Joyful Noise Recordings. These guitar-heavy experiments are sometimes earthy and resounding, at other times shimmering and buzzing—swirling around the duo’s expertly crafted vocals while creating a chaotic bed of harmony. Cunningham’s smoky croon complements Stewart’s higher-register coo, all underpinned by the restrained yet inventive polyrhythmic percussion of drummer Matt Carroll. Enlisting fellow Chicago cohorts Doug McCombs, Ken Vandermark and cellist Tomeka Reid, Ohmme recorded and self-produced Parts from Cunningham’s Logan Square home studio, Fox Hall. Still in their 20s, Cunningham and Stewart are established performers in the Chicago scene. They’re constant collaborators and have recorded and toured with acts as varied as Tweedy, Whitney, Chance The Rapper and Twin Peaks.